Sports supplements have been predominately consumed by bodybuilders and weight lifters. However, due to the increasing demand of quality supplement brands, fitness and sports enthusiasts are now consuming supplements on a regular basis. 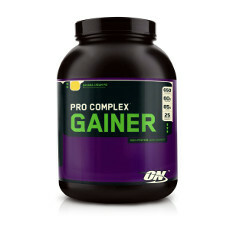 Supplements are primarily used to enhance muscle gain, promote weight loss or improve overall performance. There are many types of sports supplements that are widely available. These range from creatines, pre-workout, post-workout, weight loss, weight gain, branched chain amino acids (BCAA), proteins, pro-hormone supplements and many more. Below is a brief explanation of each type of sports supplement. Amino acids are extracts of protein. The body breaks down protein into amino acid in the intestines and stomach, where it is then absorbed into the blood stream. Branched Chain Amino Acids (BCAAs) are among the 9 essential amino acids accounting for approximately 35% of the essential amino acids in muscle proteins. There are 3 types of BCAAs: leucine, isoleucine and valine. These are of great importance to strength training and performance athletes because they are metabolised in the muscles. Essential Amino Acids (EAAs) are not produced in the body but are obtained through proper nutrition. This makes it important to consume BCAA supplements to ensure the essential amino acids are ingested. BCAAs have also been shown to reduce fatigue in anaerobic and endurance type sports. Leucine may be viewed as the most critical of BCAAs due to its anti-catabolic properties and role in protein synthesis. Protein is a macronutrient required by the body to repair and build muscle. This is why bodybuilders and weight lifters often supplement their diets with protein powders, protein drinks, protein oats, protein bars, protein gels etc. Protein powders are the most popular form of protein supplement. They are often mixed with milk, water or juice and should be consumed immediately following a workout. Consuming protein supplements (known as casein protein) with meals and before going to bed is also strongly recommended. Whey protein contains high levels of essential amino acids and branched chain amino acids. Whey protein is quickly digested into the bloodstream, which is why so many bodybuilders consume it immediately after a workout. Whey protein is derived from the process of making cheese from milk. From this extraction, there are two types of whey protein: whey concentrate, which is 29% - 89% protein by weight and whey isolate, which is 90%+ protein by weight. Casein protein is different from whey protein in that it forms a gel or clot in the stomach. This provides a slow release of amino acids into the bloodstream, often lasting for several hours. Because casein is slowly absorbed, it is often consumed between meals or before going to bed in order to maintain a muscle building state. Ask any dietician to name the best source of protein and eggs will probably top the list. Most nutrition textbooks refer to eggs as the "gold standard" for protein quality. Containing loads of EAAs (Essential Amino Acids) and some of the highest scores of protein quality, we're not going to argue! Naturally diary-free, eggs are a great alternative to whey, casein and whole milk proteins for those with milk allergies or severe lactose intolerance. If you can only afford one type of protein, consider going with a blend. Combining faster, intermediate and slower-protein sources, blended proteins give you more sustained protein digestion than single-source proteins like whey, casein, or egg. There are moderate calorie, fast acting protein and carbohydrate combinations specifically designed to be consumed immediately after workouts when nutrient needs are great and glycogen and muscle protein re-synthesis are at their peak. Many also contain whey protein hydrolysates and supplemental ingredients like creatine and BCAAs to further aid the recovery and rebuilding process. This may also include complementing ingredients like creatine and micronised amino acids to assist with your muscle building goals. 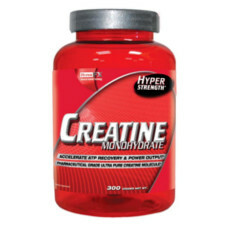 Creatine is an acid that naturally occurs in the body, supplying energy to muscle cells for short bursts of energy. Creatine has been scientifically shown to increase energy, strength and recovery times whilst at the same time increasing muscle mass. Creatine has also been shown to increase brain function. Losing weight is no easy task. It requires a good diet and regular exercise. Weight loss supplements are useful in helping to speed up this process. Just like trying to lose weight isn't easy, gaining weight is also no simple task. Usually, people who struggle to gain weight have high metabolisms (meaning they burn fat quickly). They require additional calories in order to gain weight. Weight gain supplements contain a high number of calories per serving, allowing you to safely and successfully gain weight. Before a workout you need to make sure you have enough energy to complete it. Pre-workout supplements are designed to provide you with the right nutrients to help increase energy, intensity, aggression and mental focus during your workouts. There are of course hundreds of ingredients with pre-workout supplements but the most popular are L-taurine, leucine, creatine and caffeine to name a few. Following a workout, your body needs refuelling and you only have a small window of opportunity to replenish your energy systems. Post-workout supplements allow you to easily and conveniently replenish your energy systems to ensure proper recovery. Whey protein is the most popular post-workout supplement.